My name is Ken Nakata and I started this blog at 49 years old. Some might say that I look a decade younger than I really am, but I know the truth– I’m a much older and rapidly aging guy who thinks he still has the body of an 18 year old. I’ve been obsessed all of my life with running and cycling. I ran my first (and still only) marathon when I was 15 years old and was a Cat 3 cyclist for a year or two in college. I was never THAT fast running, as my PR for the 10K is only about 35:40 and about 1:18 for the half-marathon– but that was at least two decades ago. I’m in denial that I can’t get back to my running glory days. My cycling, however, hasn’t been hit as hard; my 40K TT PR of 58:30 was only set two years ago. Thankfully, advances in aerodynamics have surpassed the rate of my fitness decline. If you want to stay up with the latest information, be sure “like” us on Facebook to get it fed directly to your Facebook feed. Or follow this blog in WordPress if you a regular WordPress user. Good Morning, I am with Plum Dragon Herbs, I was wondering if I could have your permission to share your blog content on Dit Da Jow on our website. Please contact me via chrisruff@outlook.com . thank you and happy thanksgiving. Sure. I do talk about your products and one of your competitors in an updated post coming up too. I just bought a compex and appreciate your post on using it well. There was a part towards the end where you mentioned how to fit a compex with normal pin electrodes instead of the snaps. Could you tell me how? I bought the performance model with resistance, endurance, strength, active recovery and pre-warm up. I`m curious, do you have experience with the other programs above these 5 and is there a way to expand the device? Thank you! Hi Ken – Along with Oak, I would too like to learn how to retrofit the Compex units to avoid the up charges for the pads. Thanks! I have spent a couple hours reading through tons of your information. Super helpful. Thank you. We are a lot alike although you have been competing at a high level for a long time. I am an Athlete/Runner who is just now making a leap into the Duathlon world. I am 47 with tons of injuries yet I believe I can do well as an age grouper at some point. I am looking at numerous training plans – don’t want to get a coach at this time. Are there any specific training plans/programs you could recommend for me (I am looking at doing mostly the sprint distance but may go longer; if I attempt to go get to Bend for Nationals. Not sure if I am ready for that type of competition. Again, thank you for a great wealth of information. I have to blog about some more recent ideas in training as mine have changed in the last year as I’ve dealt with my injuries and talked to others about their injuries and training plan. I think a polarized plan works well during the early off-season but not as the race season starts to show up on the horizon. Then reduce to three runs a week (key point is never back-to-back running days) but make them all quality runs. I’m thinking they should mostly all be bricks (if possible), alternating starting with the run and starting with the bike. Unless you have a ton of time on your hands, we need a ton of work at LT and maxVO2. Used your blog to help me decide to buy a Compex about a week ago. Just pulled something in my calf. Have a marathon in 8 days. You mentioned you used the resistance setting for 5 hrs a day the week before your back to back tris. Was thinking of doing the same to see if it worked. Should I just focus on the one injured calf? Do I put the setting, in recovery, as high as I can take ? Is there any issue walking around with the compex in recovery mode. Work in an office and could have it running for 5 hrs while I’m at my desk or walking around the office. Hi Zorba! I apologize for not responding and hope your marathon went okay. I probably would have used the Compex for an hour or two a day on a gentle recovery setting– not resistance setting. The goal is just stimulating as much blood flow as possible. 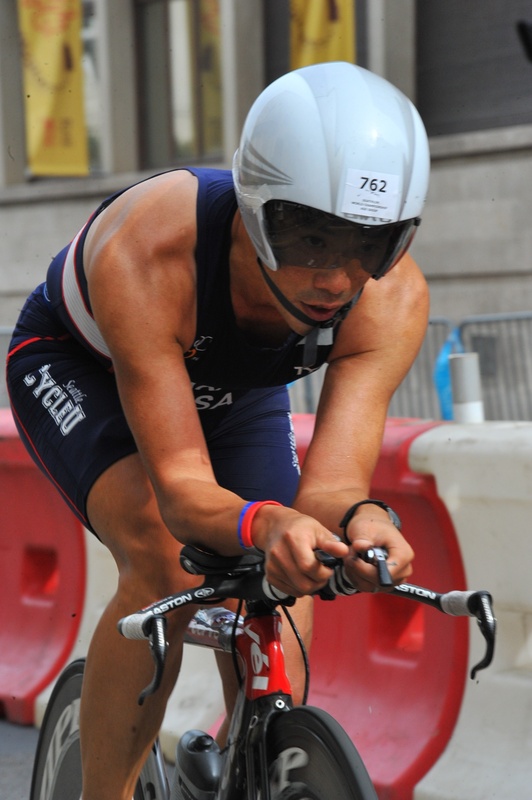 I actually flew to Switzerland in 2013 to race Powerman Zofingen for Team USA and pulled a calf muscle three days before the race and couldn’t compete. Sometimes, all the preparation in the world can’t prepare you for the events that life sends your way. Hey Ken just ran across your blog and saw you did a comparison of recovery pumps. Love to send you some new technology to have you compare. Please reference http://www.fireflyrecovery.com and let me know if you have interest. My email is Anthony@athelticrecovery.net Cheers. Hi Anthony! Sorry I’ve been absent from the site for awhile but I’m quite interested in the Firefly now! Are you still using red yeast rice and Prevalite? Never used red yeast rice after trying it for 2 days and feeling awful. Prevalite is awesome by contrast as it’s never absorbed into the bloodstream.